Congrats to the new MR & MRS Alan Ferguson! 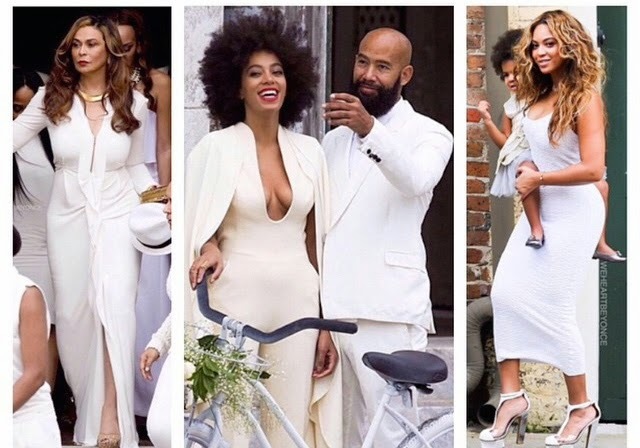 Solange Knowles & Alan Ferguson tied the knot this weekend in NOLA and they did it in STYLE! I love that they did not fall into typical wedding tradition, but they kept it totally them. 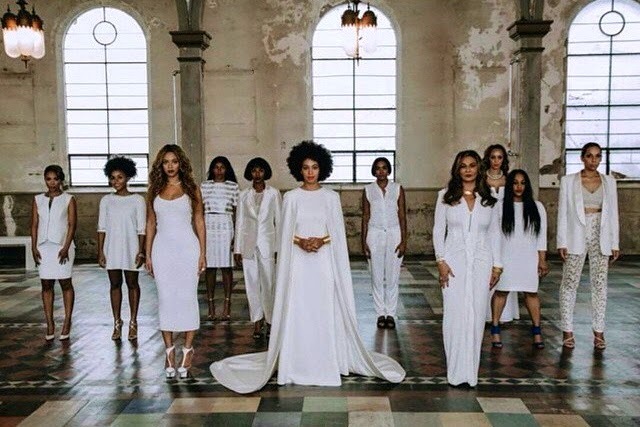 All of the guests were draped in shades of white and they all SERVED! 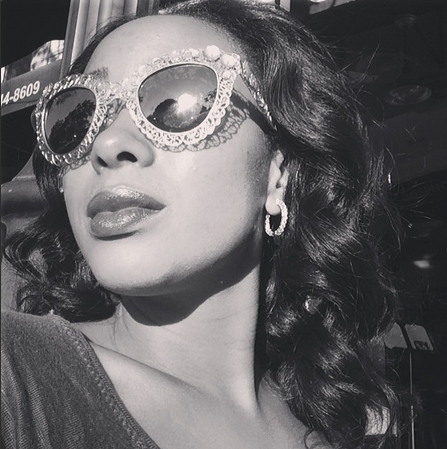 I love all of the details from their wedding, from the beach cruisers they arrived on, to the vintage Creole family photos. Everything about this wedding was totally RIGHT because it was totally THEM!